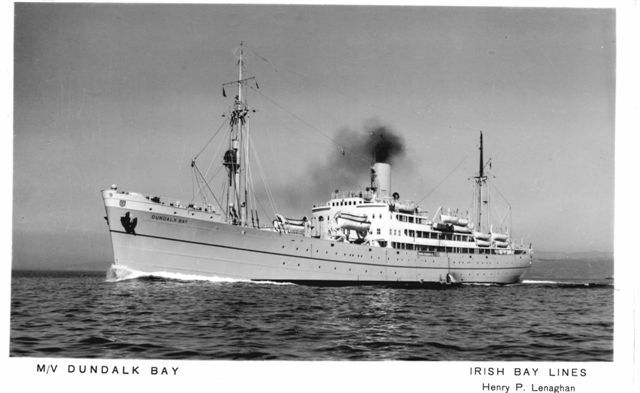 The SS Dundalk Bay left Mombasa on the 12th of August with 1014 Polish DPs aboard, including 173 children. The journey took 21 days. There were two deaths on the journey, a man died at sea of a hart attack and his body was landed at Port Said for burial. Three people were detained at Gibraltar because of sickness, one of them a man of 47 died of heart failure and a man and his wife recovered and later landed at Tilbury on 18th September1950. The Dundalk Bay docked at 10.14 a.m. on Friday the 1st of September and disembarkation started at 8a.m.on Saturday the 2nd of September and was completed by 10.15am. The W.V.S and the Hull Red Cross rendered valuable assistance. The hostel at Priory Road Hull which was under the management of National Service Hostel Corporation was not large enough to take in and process all the people that arrived from Mombasa and so 182 were sent directly to East Moor Camp. On Sunday morning Masses were arranged at Priory Road and East Moor with 100% attendance. The 10 camps/hostels used for resettlement. PHOTO. 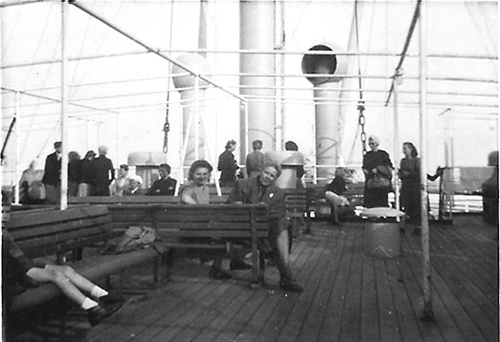 Polish DPs on board the Dundalk Bay on the way to the UK. Sadly no passenger list is available for the Dundalk Bay but there are two nominal roll lists, dated 28th of April 1950, of Polish Refugees that were still living in residual camps in East Africa. These were people who were rejected by the various immigration commissions (American, Canadian, Australian etc.) as uneconomic migrants or who refused to accept the conditions under which they would be accepted for immigration, usually a requirement to leave behind elderly or ill relatives. Some emigrated to Canada, USA, Australia and Argentina but the majority came to the UK on the Dundalk Bay to Hull in 1950 and later on the MV Dorsetshire to Liverpool.in 1951. The remainder came on various ships in much smaller groups of 40 or less.